D. Anderson rightly said, “Feminism isn’t about making women strong. Women are already strong. It’s about changing the way the world perceives that strength.” This quote on women empowerment is true about Indian American anti-bullying activist Shree Saini who won the ‘Miss India Worldwide 2018’ title at the annual beauty pageant held in Fords, New Jersey. The crowning moment on the glittering night of December 14 cast spells of pride over the Indian American community. With the Miss India USA 2017’ title in her possession, Shree Saini got to participate in the Miss India Worldwide 218 and represent her community at international levels. To be precise, she represented not only the United States but India at the same time. During her tenure as ‘Miss India USA 2017’, she traveled to 70 cities and 11 states in 5 countries, advocating one’s right to dignity against racial discrimination and championing various causes. 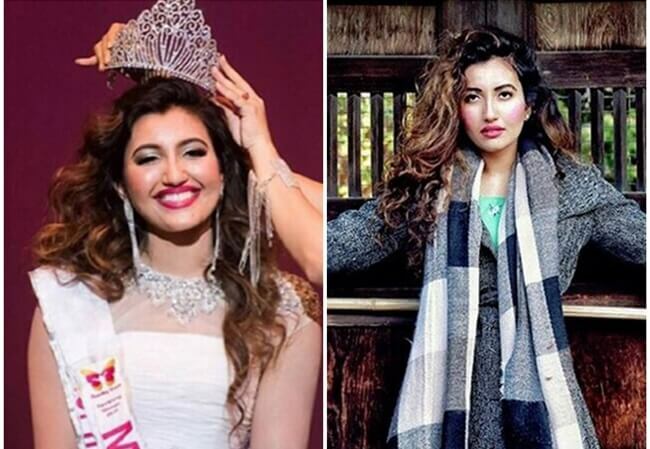 The ‘Miss India Worldwide 2018’ title winner, 22-year-old Shree Saini has something in common with actress Priyanka Chopra who rose over her bitter experience of bullying as well as racism in the US and became a global beauty icon. She was subjected to bullying in school for being a person of color from India after her parents relocated to Moses Lake in Washington State from Punjab. However, she was determined to have journeyed from a victim of bullying to a fighter of national repute to an activist of international fame. Being an anti-bullying activist in the United States, Shree Saini spreads awareness about psychologically harmful effects of nonverbal bullying and educates students of vulnerable age on how to deal with it. She also empowers girls with tricks and techniques to keep bullies away. She also offers to help bullies hold themselves back from preying on others. An undergraduate student at the University of Washington in Seattle, Shree Saini detests all forms of bullying, physical, mental, psychological, verbal and emotional. People of color from minority communities can fall prey to bullying anywhere – school, household and workplace. Not necessarily, bullying is always about physical violence. It can also be rendered in form of faultfinding, scandalous rumors and name-calling, according to the ‘Miss India Worldwide 2018’ title winner. Indian American Shree Saini feels attached to two causes: heart health and emotional health. She has been a dance enthusiast since her elementary school days. While in the middle school, she got a pacemaker which kept her aloof from dance for years. Instead of ruing her inability to pursue her interest, she enrolled in public speaking courses which empowered her to speak at public events and fundraising campaigns for her nonprofit in high school. In the talent round of the Miss India Worldwide 2018 grand finale, Shree Saini gave a touching account of her struggles and hardships for being ridiculed by bullies in school, meeting with a fatal road accident, for suffering third degree burns on her face, and for almost losing her mother to sickness, in an eloquent dance form, which left the audience in tears. With the ‘Miss India Worldwide 2018’ crown on her head, Indian American Shree Saini feels empowered to promote emotional health and eradicate human trafficking. We at Travel Beats, an Indian American Community portal by IndianEagle.com, congratulate her and wish her good luck. May her noble endeavors and humanitarian pursuits be divinely rewarded!